On Oct 16, 2009 I attended my first Weight Watchers meeting in an act of utter frustration with trying to lose post-twin baby weight, four years after my twin daughters were born. Here we are in the month of October (2012), the same month I turn 40 years old, and a week later (Nov 4) I will run my very first marathon (ING NYC Marathon) and I am very happy to announce I have lost a total of 28 lbs since joining Weight Watchers three years ago! 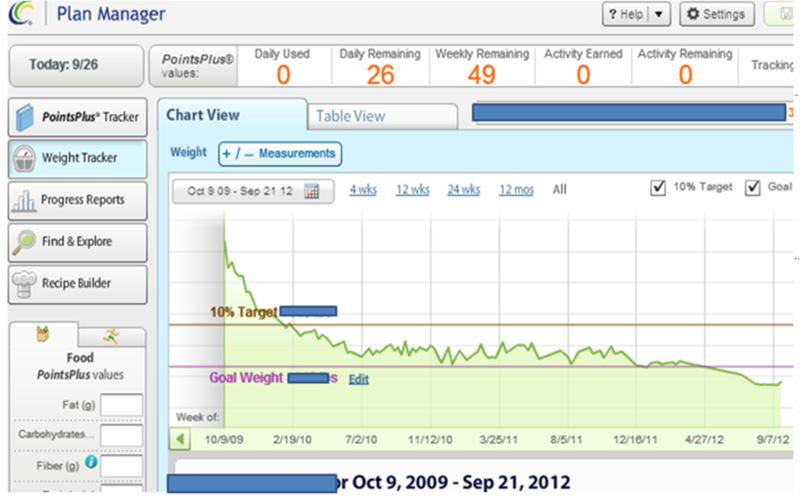 Weight Watchers E-tools provides this graph to reflect my weekly weight loss since I joined in Oct 2009 thru present. I think of this graph as a roadmap. I see the hills, valleys, plateaus, bumps in the road and am reminded of choices I made to move forward. There are the 28lbs I lost and then there are the incalculable and sustainable life-lessons I gained through the process. What matters to me is my journey to lose those 28 lbs. Here is where my weight loss journey begins. In August 2005 I gave birth to my beautiful twin daughters. I nursed my girls for 3 months. Did I lose a pound from nursing twins? No. The only thing I lost while nursing was a lot of sleep. Three months in and I was still having to wear maternity clothes and was 25 lbs from my pre-pregnancy weight. As I celebrated my own birthday each October, my frustrations would continually build. Shopping for clothes was just depressing. Four years post-twins and I was pretty much the same weight. At a breaking point, in May 2009 I joined Weight Watchers Online and lost 4lbs over five months. I knew I needed more support beyond the online program. There was a center near my office. I had yet to get motivated to sign-up. One crisp October afternoon during my lunch break I bumped into a friend on the street who revealed she was coming from a Weight Watcher meeting. She motivated me to join and that Friday I met her at the center. From that day forward I religiously attended the weekly Friday meetings. unforgettable Brazilian-accented words of wisdom and positivity, I made a promise to myself to always come to a meeting, weigh-in and face my reality. I have stuck to that promise for three years. Within a few weeks the pounds started to drop. The ‘honeymoon phase’ began and I was feeling wonderful and in control. I became aware of habits I never thought were a problem. I became aware of the points value in foods (calorie count) that were significantly higher than my assumptions. I learned how to plan and prepare for my meals every day, no matter the occasion. I made time to shop and prepare lunch the night before and bring healthy and tasty snacks to work. Most important, I learned not to come home from work starving, exhausted, with little time to prepare dinner and spend time with the twins. Every Friday there was someone in the meeting that would say something that resonated with my own struggles. Silmara would always find a ‘Bravo’ within a member’s struggles. She would turn their negative to a positive; a complaint into a ‘bravo’. Through the understanding of ‘Weight Watcher’s Math’, a 2lb gain became a 4lb loss, a half pound loss became a 2.5 lb loss. She focused on the process and the efforts being made to stay on track. Weight Watchers is a lifestyle, not a diet. A diet is temporary. A lifestyle can be adapted to last forever. And as I’ve learned in my WW meetings, a better word for a D-I-E-T is the word E-D-I-T. Weight Watcher’s teaches you to edit your choices. You can have everything, you just need to edit when and how much. Don’t misunderstand my enthusiasm to imply that the process was easy. It was hard because I had to make a choice and change my behavior and habits. Even though those habits were doing me no good, I was reluctant to change because change is uncomfortable. I had to accept the uncomfortable. I had to change my mindset because being uncomfortable is hard enough. No point in adding to the difficulty with a negative attitude. I decided to have fun with the process, instead of dreading it as a tedious chore. After about 6 months of attending WW meetings, and down about 16 lbs total, I felt energized and decided to improve my workout routine. I was already a member of my local YMCA and would go swimming at 5:30am. But I needed more high-intensity cardio to really burn fat and rake in activity points on Weight Watchers. I started with weight and core training. Within a few months I ventured to try other activities such as boot camp, spin class and kettle bells. I was hooked on it all and happily became a morning gym rat. By the time my twins were preparing to start kindergarten in Sept 2010, I was in a comfy 5:30am workout groove and bordering being down 20lbs but not quite crossing into the twenties. I could not seem to move past being down 17-18lbs. With the start of kindergarten, my routine was soon going to change as I wanted to be home by 6:30am in order to wake-up the girls and prep them for school. My husband would happily do this job but since I work full-time and rarely am home to see them before bedtime, my little morning window of time is precious with them. I decided to prepare for the change by adjusting my workout routine with an exercise that could be done outside the confines of the gym schedule: running. Running completely changed my life for the better. So my girls started kindergarten and Mommy started running. By the time they graduated kindergarten in June 2011 I had finally crossed over the twenty-pound milestone and was keeping off 22lbs total. Behind that number were miles upon miles of running, weight training, spin classes, waking up at 5:00am, squeezing in errands between a run and soccer games and kid’s birthday parties. At this point, my 22lb weight loss got stuck in a rut. I plateaued and got very frustrated. There were months where I felt as though I had gained back 2lbs. Knowing how hard it was to lose every single pound, gaining back 2lbs, felt equal measure to 10lbs! My Friday meetings at Weight Watchers were like a church confessional where you cleanse your soul of any wrong-doings and get a fresh start for the coming week. I would see +.2lb and then -.3lb or +1.5lb and then -1lb. Some of those weeks were because I just wasn’t trying hard enough. I was getting cocky with my activity level, tricking myself into believing I could eat more ‘points’ because hey, I workout, I’m active. Not true. The scale showed the truth. My girls moved on to the First Grade and I was teetering on a weight-loss of 23lbs. I kicked up my activity level with running and joining races almost every weekend. I got it in my head to run the NYC Marathon and qualify via the NYRR 9+1 guaranteed entry (run 9 qualifying races / volunteer for 1) to celebrate turning 40 years old on Oct 25. I had to remind myself to look at the big picture and not scrutinize the decimals of pounds I was dropping on a monthly average. The fact was, looking at the Weight Watcher tracking graph, I was still heading in a downward direction. Trying to lose plus 20 pounds was proving to be a very slow process, drawn out over merely two years. My patience was tested. Once again I got cocky and tried to cheat the Weight Watcher program. An extra glass of wine or a handful of office candy, what’s the big deal? I was now down 23lbs – and my ego decided that 23lbs were really 25lbs, making me overly confident and even more cocky in my actions. Thus began another plateau. I continued to go to my Friday meetings and weigh-in but I remained just one pound away from my Weight Watcher goal weight. So close to goal and yet it might as well have been 100lbs away. I felt like I was doing everything: running constantly, cross-training, watching my food points… Why was I seeing no change on the scale? The fact is that I wasn’t really trying as hard as I had been when I first started Weight Watchers. I had to change my way of thinking. Just because I thought I was trying hard, didn’t mean I was actually trying hard. The scale never lies. I had complete trust in the Weight Watchers program and knew that it worked as long as I was honestly doing it. I remember sitting in a Friday WW meeting, fuming with frustration, hating other members for their big success stories, jealous of the men that dropped 25lbs in just a few months without seemingly even trying. I decided to dig deep inside myself and accept that I needed to do more. I needed to follow the program; not try to cheat it. I started tracking my points more closely and increased my activity level just a little bit more; in subtle ways like walking an extra block to the train or taking the steps or adding an extra five minutes to a workout. I kept going to my weekly Friday meetings looking for inspiration and motivation from Silmara and other members. I tried to track my points as best I could, even if it was a general outline (Breakfast: 10pts / Lunch: 15pts). Doing something was better than doing nothing. I was far from ‘perfect’ every single day and that was perfectly okay. These pounds were the last and had been with me for many years so they were not about to let go of my body without a fight! In January (2012) I achieved my Weight Watcher goal weight, was down 24lbs and maintained it for more than 6 weeks. This accomplishment awarded me “Lifetime Member of Weight Watchers”. Meaning, if I stay within my goal weight by 2lbs and continue to weigh-in once a month at a center, I will never have to pay again and can continue to reap all the services WW offers. When I achieved my Lifetime Weight Watcher status they gave me a golden key charm. I cannot describe the extreme pride and happiness I felt, all for me. 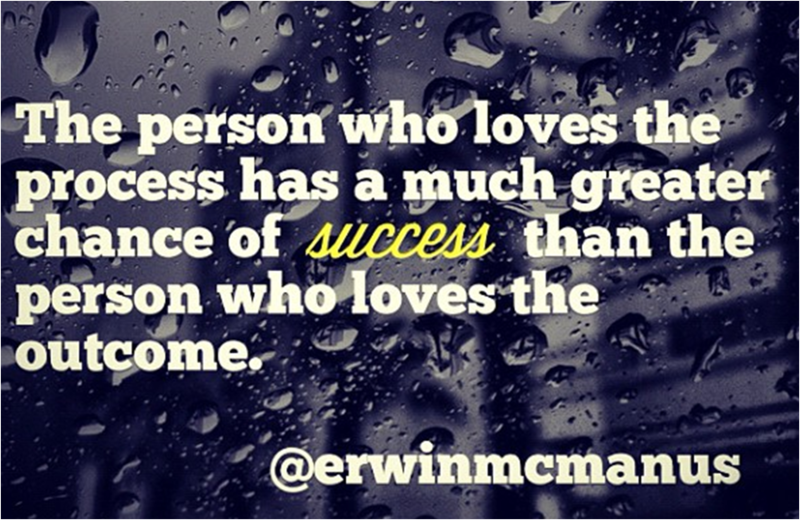 Usually I’m the one being happy and proud of other’s accomplishments. This time the feelings were 100% for me, myself and I. When I left the meeting with my key charm dangling from my necklace near my heart I felt an enormous wave of joy envelop me right to my core. Since January and with all my marathon training these past few months I have lost another 4lbs making me at a total weight loss of 28lbs. Every single pound lost has made me a stronger person both physically and mentally. I have often wished Weight Watchers had a double-scale system. One for tracking your weight loss and one for tracking the effort behind the process. That second scale is what I always considered as a ghost-scale; the one I needed to step onto in my mind, after I stepped off the physical scale and looked at the number printed into my Weight Watcher log book. In many ways, walking into the group meeting after weighing-in was just like stepping onto the second scale for measuring your effort. The combination of attending WW meetings, an accountability on the scale, my workout routine at the YMCA and running are the foundations to my weight loss story. This story is equally about what I gained in strength, endurance and stamina. I am proud of myself for every single step I take towards getting to my goal, not just for reaching the goal. 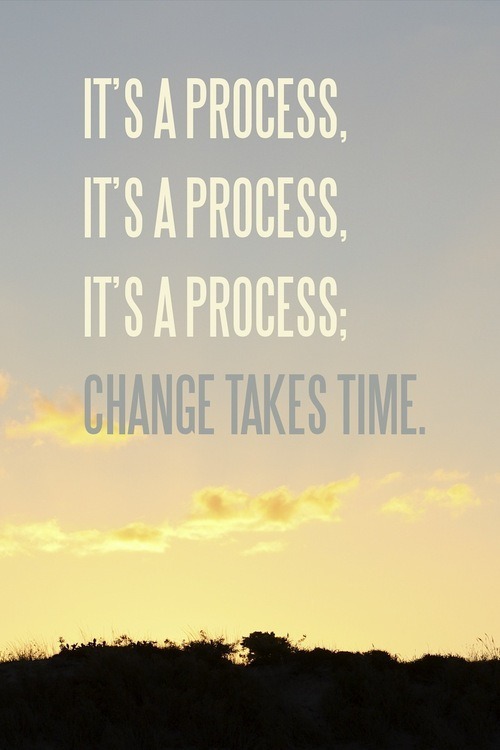 Sometimes I feel like I already achieved the goal because I enjoy so much the process towards getting there. I have the exact same outlook towards marathon training too. The name of my blog once again holds true to my entire philosophy about how to approach goals in life… be positive, enjoy the process and you will indeed Smile Across The Finish! I hope my story encourages you forward towards pursuing your dreams too. Thnx for the encouragement! Good luck training for your marathon too.